The new user interface of InLoox PM 7 Web App offers task-oriented features and commands in the InLoox PM 7 Web App Ribbon. Please find more detailed explanations of the tabs in the related help categories. Besides, the dialog boxes in InLoox PM 7 Web App have been simplified. In addition to the classic licensing model, InLoox PM Web App is now also available as a turnkey service in the cloud - with InLoox now! With InLoox now! you can start your own online project platform in just a few minutes. For more information on how to install InLoox PM Web App on-premise if you choose the classic licensing model or on how to create an account for InLoox now! 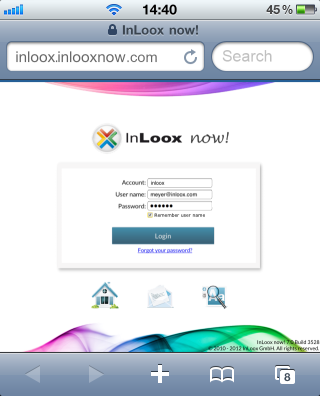 if you want to use InLoox PM Web App in the cloud, see Install and login. 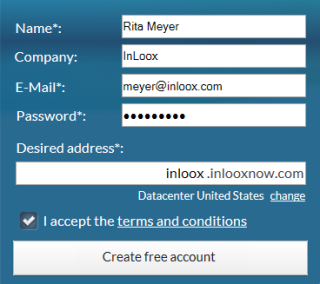 InLoox PM Web App can be used completely independent of InLoox PM for Outlook - e.g. on a smartphone, a tablet computer, an Apple Mac or under Linux. It can, however, also be easily combined with InLoox PM for Outlook. The central project database synchronizes all data automatically. For more information on the topic, see the help categories Install and login, Customize and configure and the respective InLoox whitepapers. Flexibility and ease-of-use - InLoox • Copyright 1999-2019 © InLoox GmbH. Tous droits réservés.